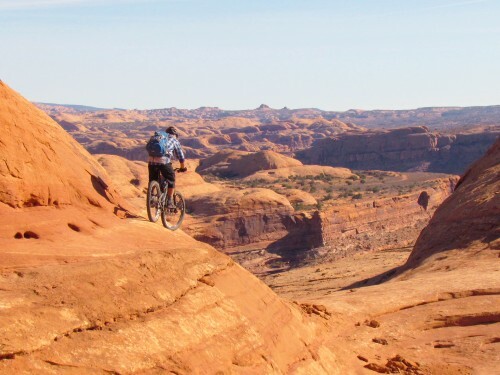 Top riders from around the world proclaim the North Klondike trails as some of the best and most fun in Moab. Hidden canyons, beautiful red sandstone, and unique terrain on one of the largest open slickrock areas you’ll ever see. 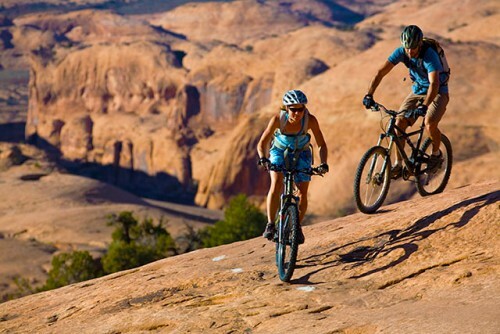 Multiple trail sections allow us to ride a variety of terrain with some slickrock and flowing trails that offer spectacular views along the canyon rims. 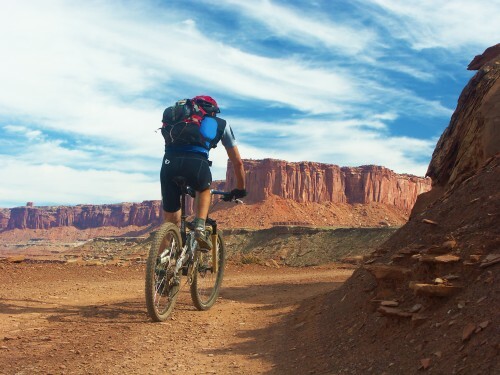 The Slickrock Trail is one of the most unique rides anywhere and has helped make Moab the mountain biking Mecca that it is. 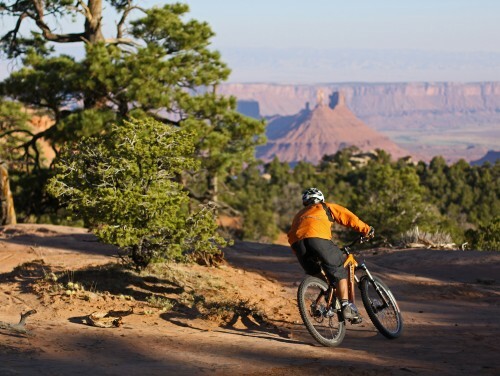 Ledges, drops, and a great section of technical singletrack all combine to make Porcupine Rim an outstanding world-famous ride. 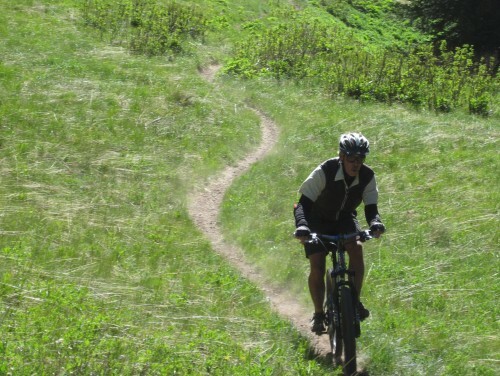 For those looking to challenge themselves over long hours in the saddle, our expert guides will show you the way. 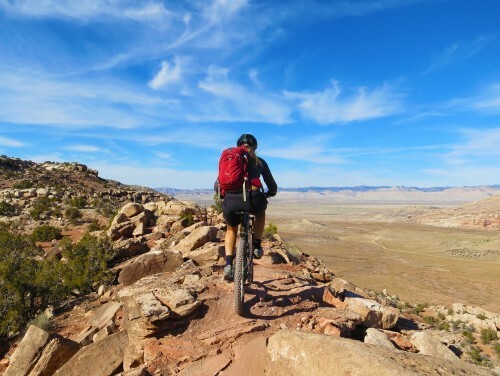 Amasa Back had been a favorite ride since the beginning and now has a world class upgrade with singletrack routes uphill on the Hymasa Trail, and downhill on the much buzzed about Captain Ahab Trail. 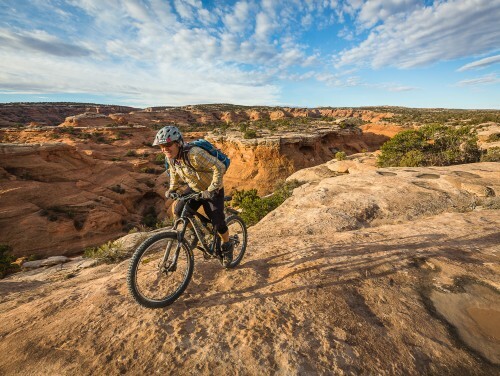 This world renowned epic ride has it all - rugged & remote mountain terrain, flowy to technical singletrack and unforgiving rock drops on the Porcupine Rim section.